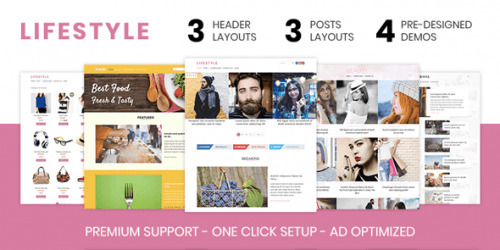 Lifestyle is an elegant multipurpose magazine theme that is designed with stylish content and image layouts. It has three header and post layouts that are highly customizable. It has optimal performance and fast loading speed. It is ideal for AdSense sites and supports other monetization methods.